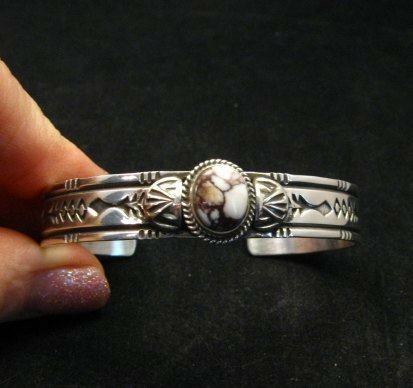 This Navajo hand made sterling silver bracelet is set with a natural Wild Horse stone, chocolate brown and white in color. 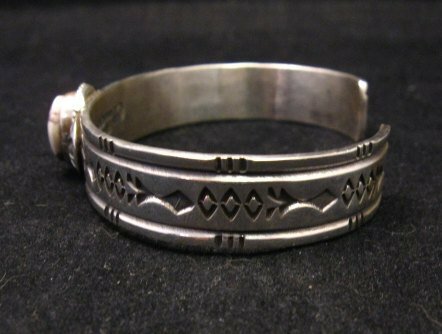 The sterling silver cuff bracelet is decorated with applied silver work and deep stamp-work from end to end. 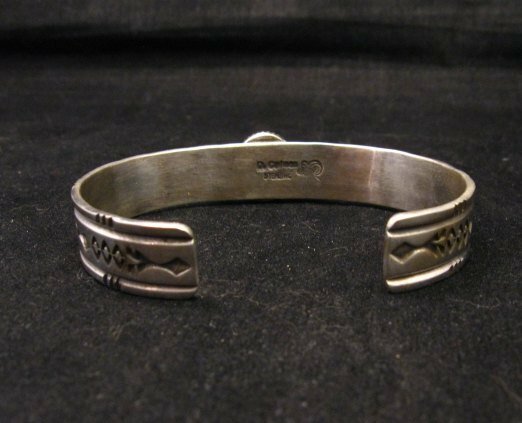 This bracelet was created by Navajo silversmith, Darrell Cadman. Darrel Cadman is the brother of silversmith Andy Cadman. 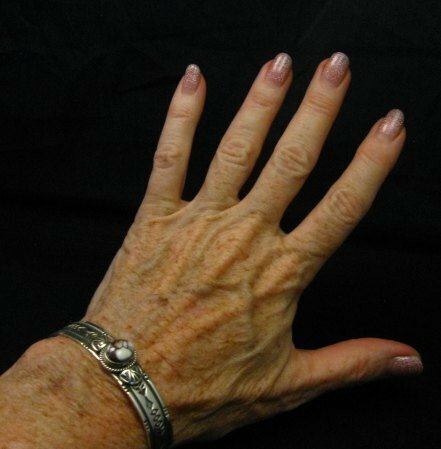 The narrow bracelet measures 1/2 inch wide at the center of the stone, with an inside end-to-end measurement of 5-1/4 inch plus there is an adjustable opening gap of 1 inch. As reference, my wrist is 6 around. 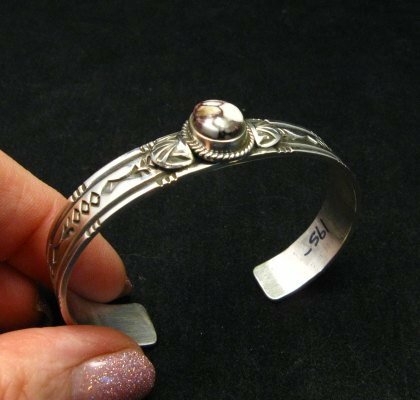 The bracelet weighs 23.5 grams. Brand new in perfect condition. 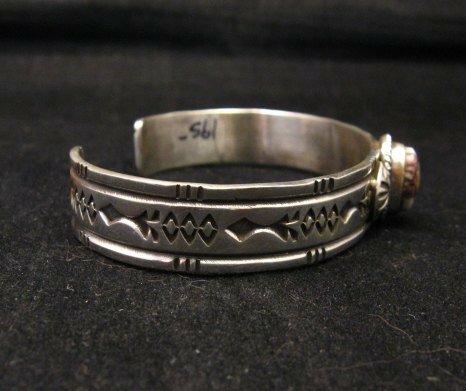 It is stamped sterling and has Darrell Cadman's hallmark. Certificate of Authenticity included and gift box included. Wild Horse, also called Crazy Horse, is a white stone typically with a lot of deep reddish brown to dark chocolate brown matrix. 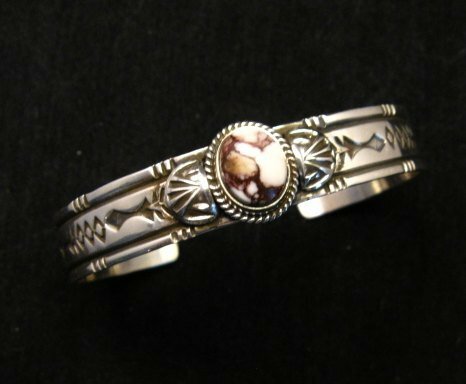 Its geological name is magnesite, and Wild Horse magnesite was recently discovered in 1995. The only known deposit of this stone is near the Globe, AZ copper mine in the Gila Bend Wilderness area.